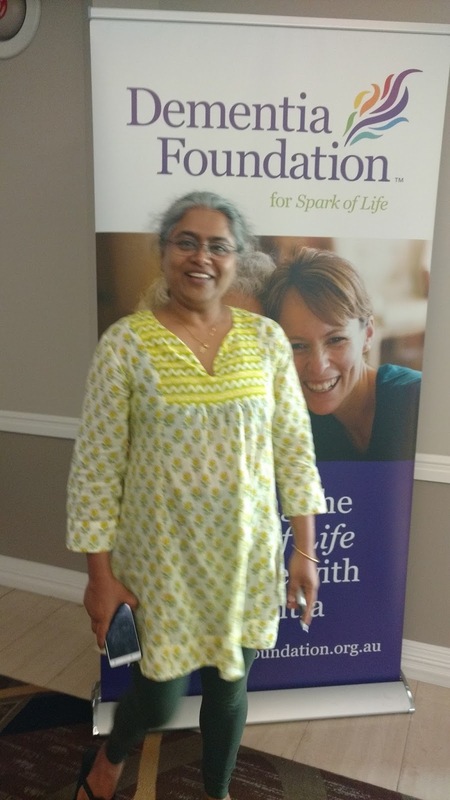 Congratulations to Ms. Nilanjana Maulik (National Coordinator Working Group ARDSI) and Mr. Sailesh Mishra (Founder President Silver Innings Group and A1Snehanjali ) for being First Indian to be conferred renowned 'Spark of Life' International Master Practitioner in Dementia Care at Perth, Australia on 19th May 2017. Mr Sailesh Mishra is Mumbai’s first International Spark of Life Master Practitioner and Ms. Nilanjana Maulik is Kolkata city’s first International Spark of Life Master Practitioner. Mr Mishra has just returned back to India after undertaking a 3 week intensive master course in Perth, Western Australia on the Spark of Life Philosophy. 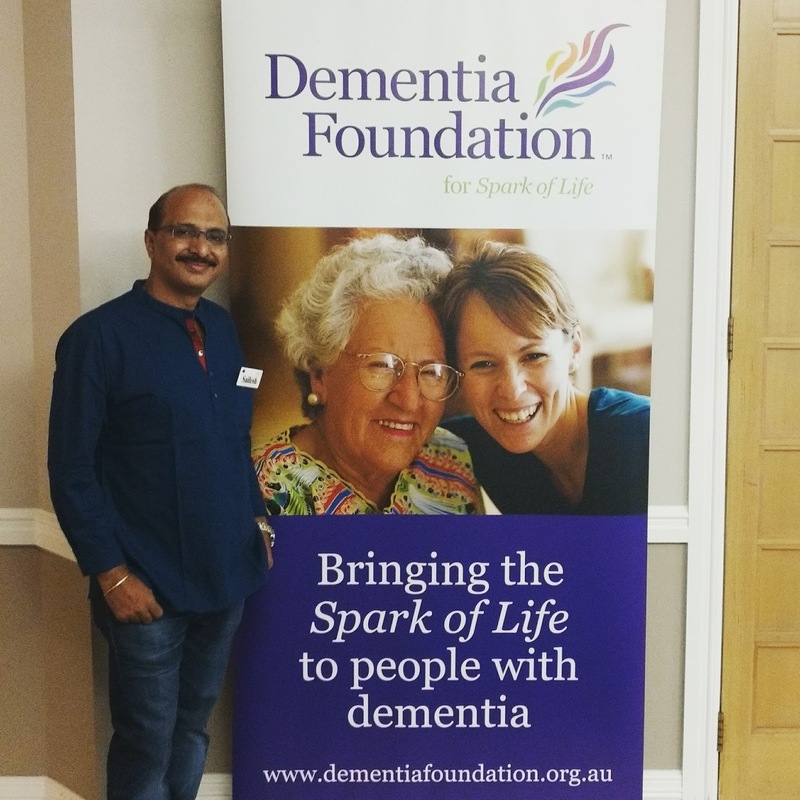 ‘The Spark of Life International Master Course, its magnificent holistic philosophy for Dementia Care, has not only enriched me but also empowered me about dementia care and to be better human being’, Mr Mishra said on his return. ‘The Spark of Life Philosophy offers a practical and sustainable way of enriching the lives of people with dementia, their families and carers and transforming the culture of care. The focus is on How to connect, How to communicate and How to care. The philosophy is about the quality of the connection between the carer and the person with dementia and aims at fostering kindness, compassion, empathy, respect and an attitude of unconditional love in the interactions between families or care staff and clients,’ Mr Mishra explained. 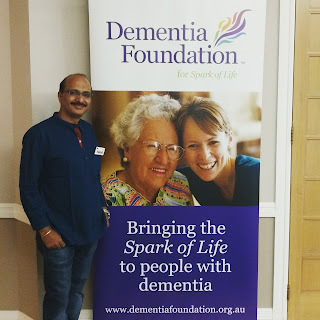 Implementing the Spark of Life Philosophy into an organisational culture has been proven to enrich the lives of people with dementia enabling them to experience improvements in mental abilities, language, self-esteem, social interactions and emotional well-being. Sailesh is a Social Entrepreneur and a renowned Social Activist working for the welfare of Senior Citizens and People with Dementia. He is also a certified Spark of Life Master Practitioner. 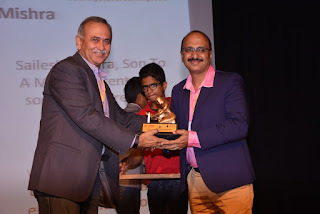 After 15 years of working in the corporate world in marketing he made a complete shift to dedicating his life to creating an Elder Friendly World where Ageing becomes a Positive and Rewarding Experience and in April 2008 Sailesh founded his organization Silver Innings to achieve just that. For his selfless in Ageing he has been awarded Karmaveer Puraskaar National award. Sailesh has been part of National and State level prominent TV Talk show on Ageing and Dementia, he was also twice part of International Radio talk show on Dementia. He has been to Malta twice on scholarship for UN INIA 15 day’s course on Social Gerontology and International Policy and Participated in Prestigious UN OEWG on Ageing at New York. In Aug 2013 Sailesh set up Mumbai City’s first 24 x 7 Dedicated Assisted Living Elder Care Home 'A1 Snehanjali' in Nalasopara West and in 2016 the second home 'A1 Snehanjali' in Virar. Mrs. Nilanjana Maulik is Secretary of Alzheimer’s and Related Disorders Society of India (ARDSI) Kolkata Chapter & National Coordinator, Working Group ARDSI. 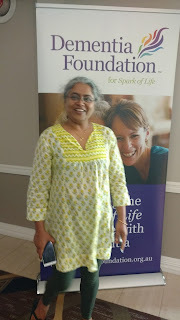 She has done her Master's Degree, Dementia Studies from The University of Stirling, and Successful Aging & End of Life Care from Stanford University School of Medicine Mini Fellowship, she is also Board Member of Commonwealth Association of Aging. Mrs. Nilanjana Maulik since 1999 is involved with ARDSI and is instrumental in starting Kolkata city’s first Dementia Day care center and also runs counselling, care support, memory clinic, training for home carers, home visit, day care for dementia person, etc, and helpline. She is strong advocate of rights and care of person with dementia. 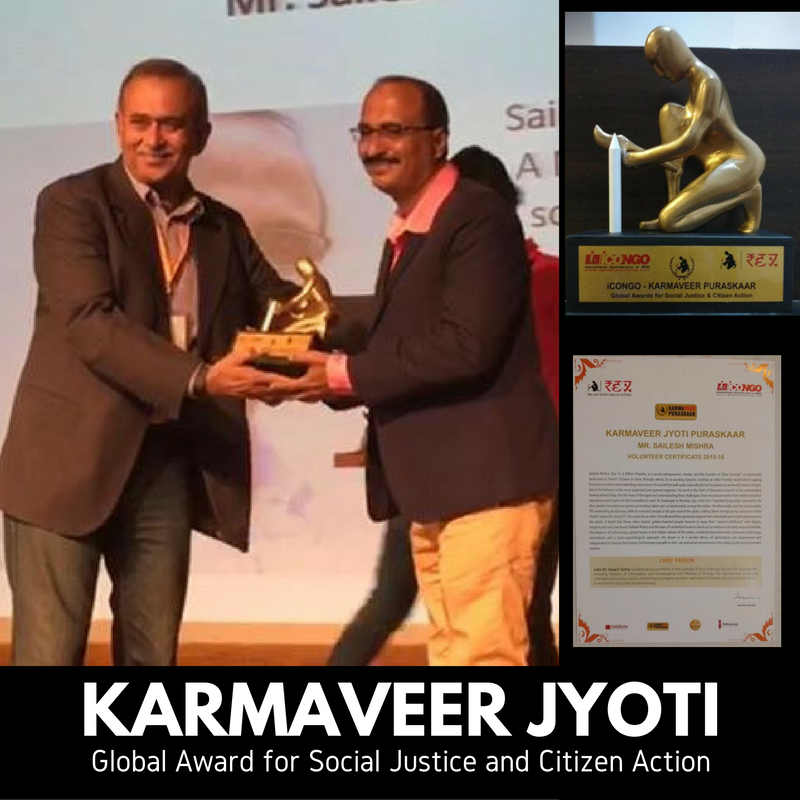 We are extremely delighted to share that Shri Sailesh Mishra Founder of Silver Innings, a social enterprise working with Senior Citizens has been conferred the prestigious 'KARMAVEER JYOTI - the highest iCONGO Karmaveer Global Award for Social Justice and Citizen Action' at New Delhi on 26th Nov 2016. Sailesh was felicitated the coveted ‘Karmaveer Jyoti’ Golden Puraskar’ award on the 26th of November at Delhi Public School, Gurgaon, New Delhi at the exclusive awards function which is a part of “iCONGO’s RIGHT every WRONG conclave” a national forum for social justice and citizen action where various social justice issues are discussed by very eminent and concerned citizens. 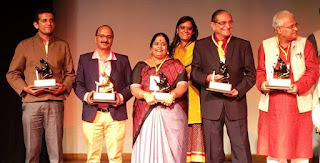 Sailesh Mishra, Son of Million Parents is a Social Entrepreneur and Mentor, Founder of Silver Innings® a community dedicated to Senior Citizens in India. Through his organisation Silver Innings (since April 2008) he is working towards creating Elder Friendly World where Ageing becomes a Positive and Rewarding Experience. He has left his well-paid corporate job to work for his passion to work with Senior Citizens, which he believes is the most neglected and ignored segment. His work in the field of Dementia is worth to be commended. Having delved deep into the lives of the aged and understanding their challenges, their emotional needs, their wishes and their aspirations and hopes, he was felt compelled to start ‘A1 Snehanjali’ Mumbai city First 24 x 7 Assisted Living Elder Care Home and also started Innovative program promoting Talent and Companionship among Elders. He effectively uses his Social Media, PR, Networking & Advocacy skills to outreach people of all ages around globe for the cause, making Silver Innings group pioneer in Asia Pacific region for using ICT. His vision for an elder-friendly world has garnered support from individuals and organizations across society. A belief that these silver-haired, golden-hearted people deserve to enjoy their “second childhood” with dignity, respect and care has driven Sailesh Mishra and his team of committed souls to reach out to seniors in as many ways as possible. His dream is of India being global leader in the Holistic sphere of the globe, a network beyond borders, between technology, innovations and a socio-psychological approach. His dream is of a society where all generations are empowered, they are independent to choose and decide their careers and future. He foresee a growth in start-ups and social entrepreneurs for today’s youth and tomorrow seniors. This award is given to Individual of extraordinary work for the society, by iCONGO – Indian Confederation of NGOs. iCONGO team of Advisors, Mentors and all our VOLUNTEERS, we congratulate Sailesh Mishra on his selection for the Karmaveer Puraskaar- Global Awards for Social Justice and Citizen Action. He was also welcomed as Karmaveer Noble Laureate 2015-16. 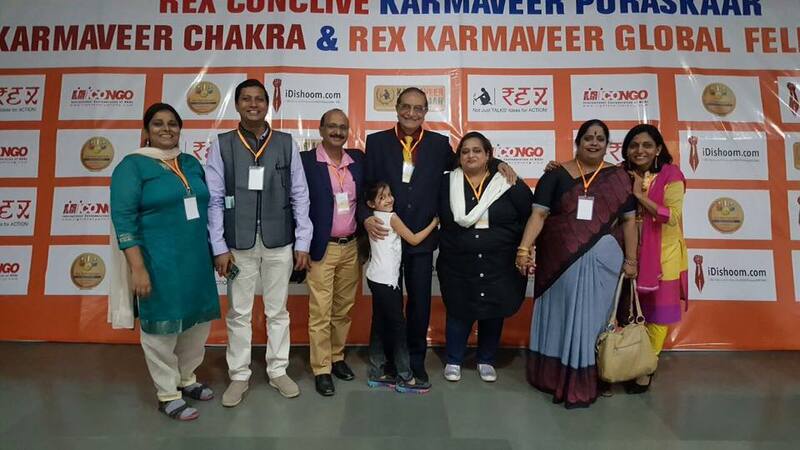 It was great privilege to have him as an integral part of the REX and Karmaveer community and the Joy of Giving and Right every Wrong Movement. 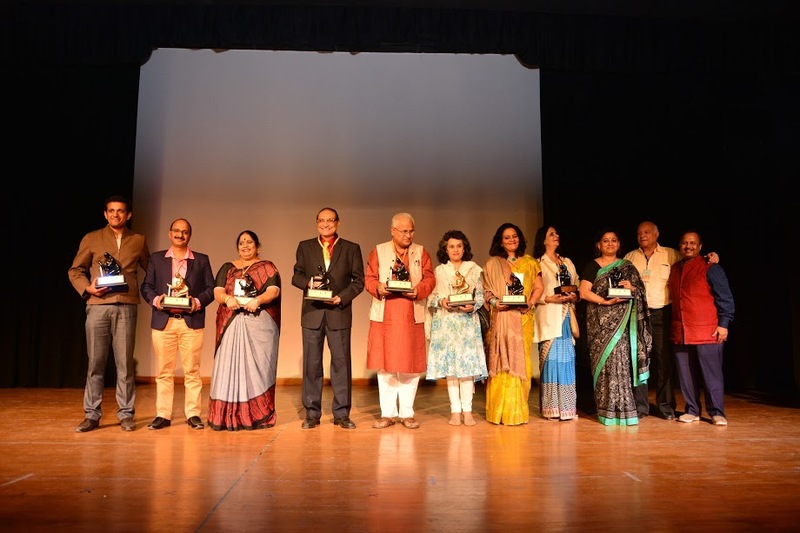 In the year 2008, Sailesh Mishra was Awarded the coveted ‘Karmaveer Puraskar’ for his commendable work in the field of social service, especially for Senior Citizens. The ‘Karmaveer Puraskar’ is a national award for Social Justice & Citizen Action. 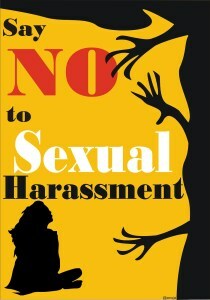 The award is instituted by iCONGO – Indian Confederation of NGOs – the people sector association- in partnership with government, business, media, civil society and other sectors and leading global and national organisations which over the years include institutions like TISS, BCCI, NASSCOM FOUNDATION, PHDCCI, CMS, RAI, UNMC, UNODC, The art of living, UNDP, World Bank, UNFPA, GTZ, WOTR, Swiss Agency for Development and Cooperation, NDTV, Business World, Outlook and various others. KARMAVEER PURASKAAR was created in 2006 by the people sector through iCONGO to recognize only individual citizens from all sectors (media, corporate, government, civil society, performing arts, professionals who have been pivotal for “being and leading the change” beyond their personal daily lives and business as usual by being committed on individual levels to work for social justice issues with proactive citizen action. The awards are given to individuals from various sectors for their contribution to promote social justice through citizen action. 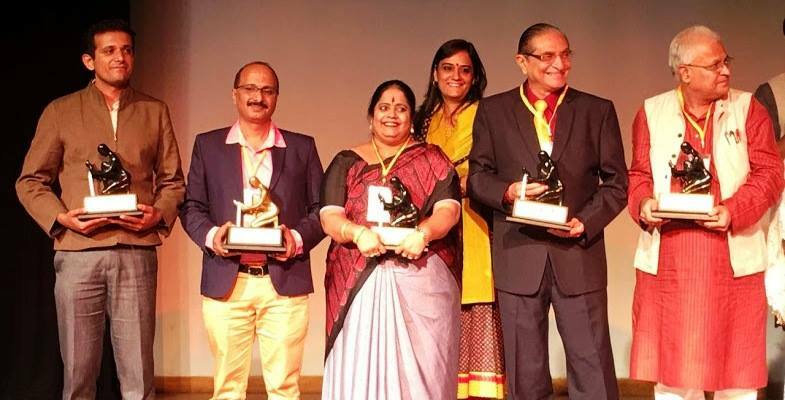 The basic philosophy of the awards is based on Gandhiji’s “Be the change you want to see in the world” and given to citizens who go beyond being apathetic and believe in doing their bit for social justice and know that it is “better to light a candle than to curse the darkness”. 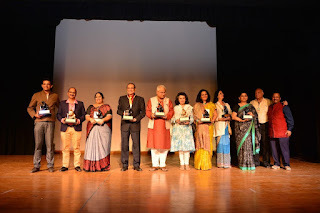 Past awardees include living legends and some eminent citizens like Verghese Kurien, Anu Aga, James Michael Lyngdoh, Vikram Akula, M. S. Swaminathan, Alyque Padamsee. “A1 Snehanjali”, an initiative started by Silver Innings on 17th Aug 2013, is one of its kind first dedicated 24 x 7 assisted living facility in a care-home for seniors in Mumbai, who do not need constant medical intervention or nursing home care. The care-home is located at historic town of Nalasopara (West Rly), which is about 50 km from Mumbai in western suburbs. The well known coastal beaches like Kalamb, Rajodi, Arnala and Suruchi Wadi are within 2 to 4 kms radius. Historical Buddhist caves, Ancient Church, Agashi Jain Temple, Shani Dev Temple, Vasai Fort are other famous places to visit within the proximity of the care-home. It is accessible from Nalasopara, as well as from Vasai and Virar. Sanjeevani Hospital, Cardinal Gracious Hospital, Alliance and Riddhi Siddhi Hospital are within accessible distance for any medical emergency. Silver Innings is an internationally acclaimed Social Enterprise working with Senior Citizens since 2008. Since then it has committed to ensure that ageing gracefully becomes positive and rewarding experience for all seniors. At A1 Snehanjali our mission is to help elders and their family members to overcome the challenges of ageing and show them the way to transform lives to mitigate loneliness, helplessness and boredom and live with dignity in their silver years. Our 'A1 Snehanjali' project offers our residents both personalized and group programs and services that focus on stimulating mind, body and soul. In our 24 x7 assisted living elder care homes, every person gets relationship-based individualized care. Our facilities are not typical old-age homes or nursing home. Instead, we implement the international, contemporary concept of person-centric care, an area where we are pioneers in Mumbai. Our management and staff know and respect each resident as an individual. 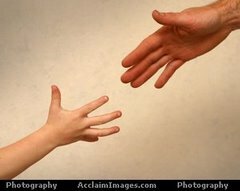 We know their life stories, their strengths, concerns and challenges, needs, preferences, and expectations. We form meaningful relationships with the residents and their family members and provide elders, including elders with dementia, an environment where they can lead satisfying lives in spite of their constraints. It is around three years now that we started our first unit of A1 Snehanhali - D’silva Nagar in Aug 2013. This is a fabulous five bedroom bungalow with a garden, a cozy home with a capacity to host ten seniors and is located at D’silva Nagar, Nalasopara West, on the outskirts of Mumbai. It is situated in middle of residential locality and is easily accessible. 'A1 SNEHANJALI’, the assisted living project promoted by Silver Innings, is happy to announce opening a second assisted living unit at Rajodi Beach on 1st June, 2016. Through this, we continue to move forward towards our goal to transform lives of elders by providing person-centric care and eliminating loneliness, helplessness, and boredom. Our new unit will create more spaces where elders lead fulfilling lives based on their capacity and desires and continue to be an integral part of society. It has been a journey full of love and learning, and we have obtained an even deeper appreciation of the great need for offering such places to families that need such facilities but have nowhere to go. Our new unit, just ten minutes away from our first unit, will increase our overall of A1 Snehanjali capacity to 22 residents. Our second unit, A1 SNEHANJALI – Rajodi, is a lush green, spacious facility very close to the Rajodi beach. The ample space and enriching surrounding provides a relaxed residential space to elders where we will support them using individualized care based on their medical situations. In addition to long-term stay options, we will also have short-term stay ‘Respite’ for elders who need personal care while their family members need time away for work or respite. One guest room will be available for family members who need to stay near their elders for short durations, depending on availability. Our nurturing and trained professional staff is dedicated to provide all residents with highest level of quality and expert services. Families subscribing to our service will be assured peace of mind; knowing that their loved one is enjoying his/her best days of “Silver Years” at A1 Snehanjali. A therapeutic and secure environment will be provided to the residents along with non-pharmacological interventions if required. What is A1 Snehanjali care? The power of loving touch has proved to have calming effect on seniors and decreases the need for psychiatric medication. Massage along with soothing music, Art base therapies, Gardening and other meaningful activities will be provided to seniors as part of Snehanjali care depending upon need and capability. As part of our HOLISTIC care, we are first t in India to have implemented ‘Rights of Resident’ to give dignity to their silver years. We have trained our staff at A1 Snehanjali, to provide care for persons challenged with dementia. This involves redirection, engagement, stimulation, simplifying complex tasks and speaking to seniors at slow pace in an appropriate tone. Brain fitness will be promoted using games, puzzles, crosswords etc. The facility has a secured environment that enables persons with dementia to stroll freely in a protected and supervised setting. Seniors with difficulty in managing activity of daily living will be provided assistance to perform such daily activity by trained staff and if required will undergo a range of motion exercises daily to prevent contractures and maintain their mobility on paid basis. Staff at A1 Snehanjali will ensure that durable medical equipment such as canes, walkers, wheelchairs are used by the senior to assist with ambulation and prevent falls. What Social Services will be available? Silver Innings TM is well known for linking seniors with available community resources based on needs. Seniors at “A1 Snehanjali” will be taken on field trips to community events or people from community will visit regularly. They can participate in a variety of activities such as yoga, arts and crafts and Chai Social (Tea chats). A1 Snehanjali understands the importance of nutrition. It has direct impact on health, socialization and well-being of seniors. A healthy, nutritious, vegetarian, low fats diet, rich in proteins and vitamins etc. as advised by experienced dietician, will be provided to the residents daily to promote healthy ageing. Overall ambience of the bedrooms is pleasing and tastefully designed to meet the comfort requirement of the seniors. Our both facilities have apart from these bedrooms, will have a separate kitchen to cook only vegetarian food, a living room (only at D’silva nagar), dining hall, activity area for some group activities and office space depending on each facility. Both facility is equipped with amenities including Television, Music system, Activity area, Inverter and Generator for back-up during power failure, Fire extinguisher, walk way, a beautiful garden and CCTV cameras for security. We at A1 Snehanjali and Silver Innings hope that our efforts will continue to make the world elder-friendly and make ageing a positive and rewarding experience. Non Refundable and Refundable deposit Plus monthly payment for 2 year, 3 year or 5 year plus living option. Cost does not include Medicine, Diaper’s, Toiletries and Specialized Medical Diagnosis and Treatment. Silver Innings and A1 Snehanjali are Social Enterprise. 10% of profit earned from this initiative will be spent for funding activities of ‘Silver Inning Foundation’, an NGO dedicated for Senior Citizens.